Since every business varies, it can take some expertise to properly address the most optimal online marketing channels. Let us guide you and your business to adopt the best internet marketing plan for your company! Since every business varies, it can take some insider knowledge and expertise to properly address the most optimal online marketing channels. Let us guide you and your business to adopt the best internet marketing plan for your company! Let us guide you and your business to adopt the best internet marketing plan for your company! We often get asked by people what internet marketing is, and what it entails? There are many views of what internet marketing is. Some think it is simply a website whereas others believe it is about ranking better in Google or advertising online. Some think it is simply a website, whereas others believe it is about ranking better in Google or advertising online. In reality internet marketing is an umbrella term for many different marketing techniques used to drive traffic, customer retention and sales. To us at Social Patterns, we view internet marketing as a comprehensive gameplan, including many marketing channels online. 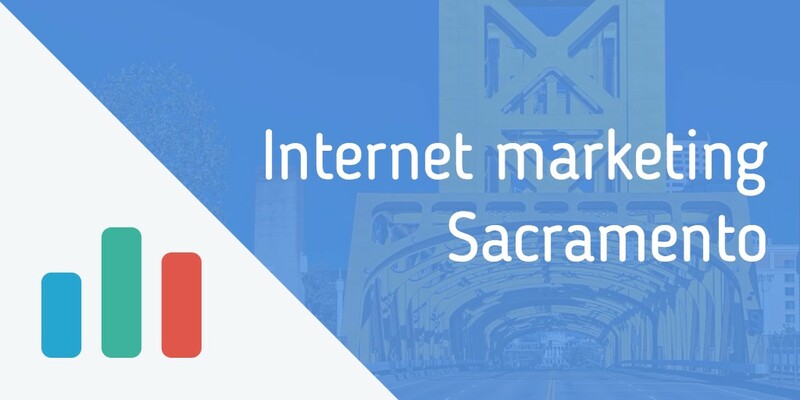 If you are in the need for a local Sacramento SEO company like us, you should be investing in a solid internet marketing plan. A solid online presence will help you be discoverable to potential customers located throughout the area in Sacramento, Granite bay, auburn, Sacramento, or wherever your target market is. However, you don’t need to be a local company located in Sacramento to need a proper internet marketing plan. If your target market is anyone across the united states (for example an E-commerce store), an internet prescence is even more important. In this day and age, it is an era of great design. People love good design. Most importantly they trust a website or promotional material with good design. Look at Apple. They have extremely well-designed products and software – both regarding user experience (simple to operate) and in aesthetics. Both of these are important. For most clients we consult with in Sacramento, the first thing I recommend is for them to revamp their website. Not everyone needs to, but if their website design looks dated, it can be detrimental to any business. It may not seem that way, but it is getting to be more and more important to have a well-designed website, with great user experience. Not only does it increase your trustworthiness and conversions (sales, email opt-ins, visiting your store, etc), it also indirectly helps with your Search engine optimization. Good design has an effect on user behavior on your website, and can indirectly affect your rankings in Google. I believe that good design is the present and future of good marketing. One of the most important aspects of online marketing is building awareness about your company or brand. If people don’t know what you have to offer, then you will never make any sales. Whether you live here locally in Sacramento, Granite Bay, Auburn, Sacramento, etc, you are going to want to be found by customers. Creating awareness is key to this. A great way to increase awareness is to offer value to your customers. This can be in the form of content curation on social media or content marketing and SEO. Branding is about communicating what you want to communicate with the customer. It is also about familiarity, as it is a psychological principle that people like what they are familiar with. Many of our clients live here in Sacramento or the Sacramento area. Since many are local businesses, they usually don’t think that branding is very important for them. I would argue against this mindset and say that branding is very important to any company, whether they serve a local clientele or a national audience. Branding tells a story about your brand. It provokes an emotional state from your customers and is a very important aspect when pursuing other online marketing techniques. Building a relationship with your customers is critical for the growth of your business. Since the Internet brings a two-way communication between the consumer and the producers, it is much more important nowadays to build long lasting relationship. You want people to remember you, to like you, and most importantly to trust you. Relationships play a significant role in customer retention, which is important because it offsets the cost of gaining new customers. If you don’t have a relationship with your client or have customer retention, you are more likely to fail. User experience can take all types of forms. For example, you can have great user experience in your website, app, product, processes, etc. How easy is it for the customer to navigate your website or to make a purchase? How easy is it for them to find you? How well are you fulfilling your orders? How good are you performing your service? Everything you do that makes your happy customer plays into the user experience, Whether that be good or bad. You want to maximize the user experience wherever possible, especially when it comes to making a sale. Google has a world-class analytics tool, called Google Analytics. Luckily for you and I, this tool is completely free. This common analytics tool for webmasters is something that helps you understand where your customers are coming from, what terms they’re using to find you on Google, your conversion rate, demographics and much more. What does analytics mean? It means you’re extracting information from a systematic analysis of data or statistics. Google Analytics is just one of the many tools that you can use to extract information from your marketing efforts and the resulting online data. There are many paid and free services that allow you to analyze different aspects of your marketing efforts, however many choose Google anaytics becuase it is free and world class. The whole point of analyzing this data is to see you what marketing efforts are giving you the best value. Meaning which intenert marketing techniques are are giving you the best results for the least amount of money. Here at Social Patterns, we want to find the most effective marketing techniques for your particular business and stick with those. At the same time we want to experiment with new techniques to see if there’s anything better out there that we are not currently capitalizing on. Analytics allows us to constantly make changes and evolve our marketing efforts so your business can reap the rewards of a well oiled marketing machine. At the end of the day, the main goal, or target of internet marketing is to get sales and increase revenue. Design, awareness, Braining, relationship, User experience – these all contribute to maximizing your sales. Getting sales and increasing revenue is the end goal. All aspects of the internet marketing paradigm will ebb and flow, they will evolve to meet and maximize this end goal.